You may have noticed that I’ve been attending more Caribbean events. I’m grateful that blogging has drawn those opportunities. I didn’t have the chance to travel around the region much, before leaving for England. Due to my mother’s family connection to St. Vincent and Barbados, I visited those islands a child. Later, as an adult, I travelled to St. Lucia for a brief holiday. However, I have never been to Grenada. 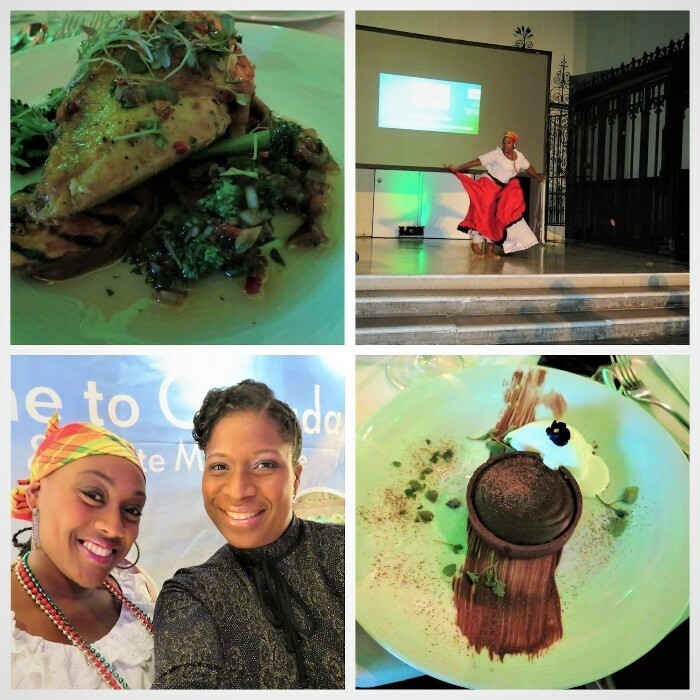 Last week I was invited to an evening of Recognition of Excellence and Cultural Delights, hosted by the Grenada Tourism Authority (GTA) and it was an honour. Historical event- US invasion in 25 October 1983. The latter was vaguely memorable because the grown-ups talked about it. As far the aromatic spice nutmeg goes… well, I’m indebted to its healing benefits. My grandmother used to grate it and mix it with soft candle (paraffin wax) and other ingredients to make a chest rub or me. The rub was applied when I had a bad cold or my asthma was ‘acting up’. I think there was something about the heat that the nutmeg emanated when rubbed into the skin. The team at GTA are a hard-work, passionate, visionary crew. 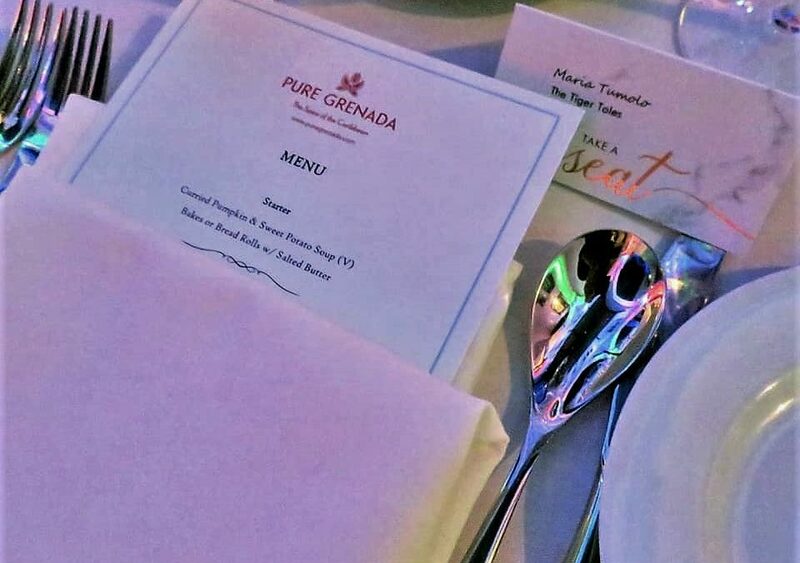 Naturally, I was thrilled to join them and their partners to celebrate the excellence in promoting all things Grenada. It was also an opportunity to learn more about the island. The event was held at The Garden Museum, London. Dinner was a three course affair with Grenadian inspired cuisine. I started with a tasty silky smooth Curried Pumpkin soup. My main was succulent Kentish organic chicken breast served with grilled sweet potatoes, stemmed broccoli and Chermoula dressing. Dessert was a delightfully decadent AMAZ-IN-Chocolate tart with Coconut Ice Cream. The key ingredient to that divine tart was the AMAZ-IN Chocolate Liqueur. Did you spot it on my insta? That liqueur is Christmas and New Year’s in a glass, for real. (pssst… a little birdie told me it’s now available in the UK, just in time for Christmas and New Year, from Masters of Malt). There was also entertainment. The sounds of drumming and singing filled the museum with festive island vibes. A bele was danced by Professional Cultural Dancer, Shona Muraldo-Parks. The dance took me back to my childhood, when I learnt the dance for a school performance. The Bèlè descends from African fertility dances. It’s danced in Grenada, Trinidad & Tobago, as well as, St. Lucia and other Caribbean islands. Singer/Song Writer Lauren Ackie sang her heart out. Her voice had a beautiful tone, full of soul. Ultimate Achievement Award – BBC One Who Do You Think You Are? It was wonderful experience to be a part of such a lovely occasion. As an infulencer, it highlighted how we can have a positive impact on the destinations we visit. More importantly, we have more in common in the region than we may think. 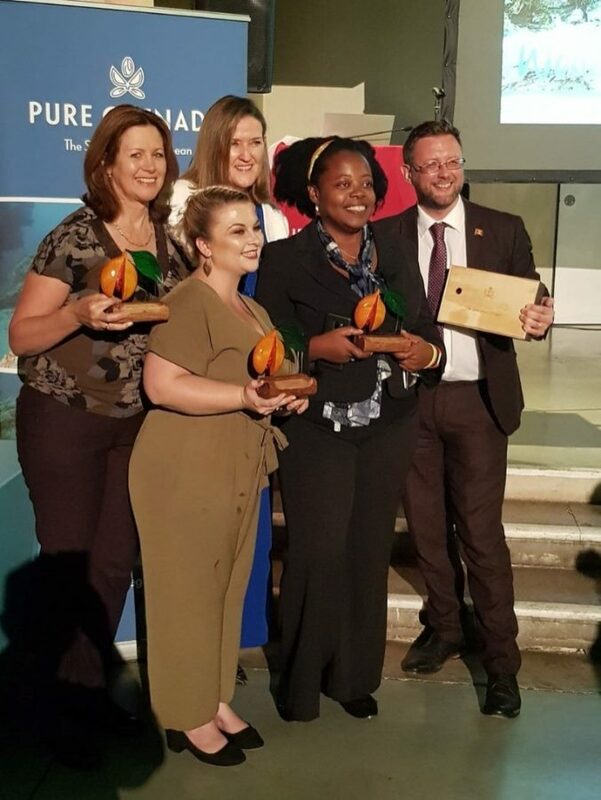 Photo credit: image of winners from Grenada Tourism Authority.